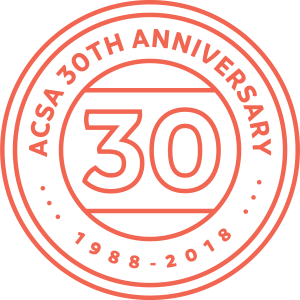 In celebration of the ACSA’s 30th anniversary, we are giving YOU a gift! Your ACSA is in the final stages of technical testing of the latest addition to our suite of online courses, WHMIS online. Starting in August, this 15- to 20-minute online course will be provided free to anyone registered in our e-learning system. Students already registered, and all future registrants, will be automatically granted access to the course. The course will become available to new registrants 24 hours after they complete the registration process. This WHMIS course is intended for workers and should not be confused with ACSA’s WHMIS Train-the-Trainer course. A formal announcement will be made via our social media accounts on Facebook, Twitter, and LinkedIn when the course is launched. Please contact info@youracsa.ca if you have any questions.